In a post on his personal blog, entitled "Stupid, Stupid Xbox!" Nat Brown bemoaned the lack of opportunities for third-party game developers to make money in the console world, like they can on iOS and Android. He said if Apple chooses to bring its App Store success to any forthcoming TV-related projects, developers would jump on board and it could wipe out the likes of Sony, Nintendo and Microsoft. He said: "Apple, if it chooses to do so, will simply kill Playstation, Wii U, and Xbox by introducing an open 30 per cent cut app/game ecosystem for Apple TV," wrote Brown, who claims to have named the Xbox back in the day. Brown added that Microsoft's biggest problem going forward is the lack of a developing ecosystem that allows devs to create games for Xbox with inexpensive equipment. 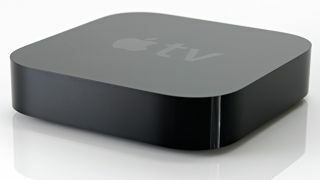 "I will be the first to write apps for Apple TV when I can, and I know I'll make money. I would for Xbox if I could and I knew I would make money," he vowed. "Xbox's primary critical problem is the lack of a functional and growing platform ecosystem for small developers to sell digitally/network-distributed (non-disc) content through to the installed base of Xbox customers, period. "Why can't I write a game for Xbox tomorrow using $100 worth of tools and my existing Windows laptop and test it on my home Xbox or at my friends' houses? Why can't I then distribute it digitally in a decent online store... like I can for Android or iPhone, or for iPad?" Brown pointed out that Microsoft charges console developers $10,000 a year to publish games on the platform and demands a ton of paperwork is filed alongside that massive chunk of wonga, virtually ruling small developers out of embracing the platform. Do you think Apple has the ability to take over our living room gaming activities even with the Xbox 720 and PS4 on the horizon? Let us know in the comments section below.